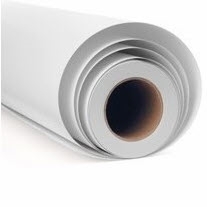 Canon Glossy Photographic Paper (240 gsm/10 mil) - Very high quality, resin coated photographic and proofing paper with glossy finish. Offers extremely good cost performance. The media base provides very sturdy feel and extremely wide color gamut to this premium-level quality paper. Similar to "premium glossy photo paper".